I have been using Nearpod and Mentimeter religiously since I discovered them earlier in the year. At first, I leaned more towards Nearpod, mainly because it is free. 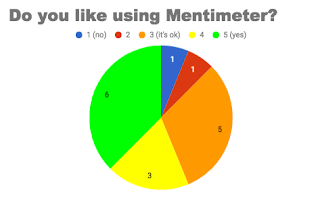 Unfortunately, the free version of Mentimeter only allows for up to 3 questions. Because of this, Nearpod became my first port of call. However, I loved the word-cloud and scale features. 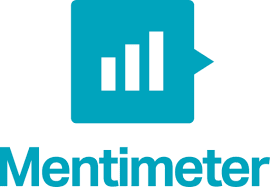 Recently I bit the bullet and a purchased a one-year subscription for Mentimeter. I am so glad that I did. Now I feel like I can more accurately compare Mentimeter and Nearpod. These are my thoughts about what sets Mentimeter and Nearpod apart from each other. You can use this scale questions to gauge opinions or understandings of students. 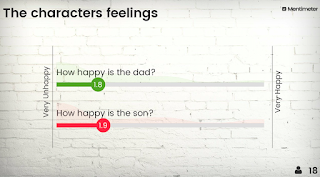 Mentimeter displays an average score (the circle) as well as the distribution of votes (just above the line). 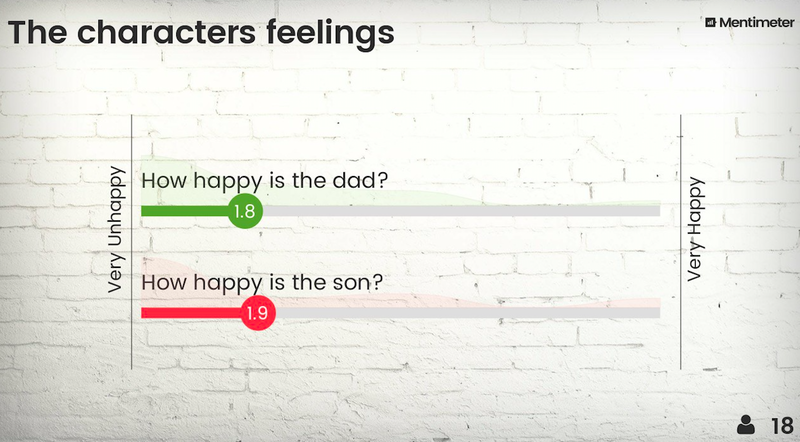 I find this to be a great visual way to show students responses. I am a big fan of word clouds. While I will always love AnswerGarden, I also love that Mentimeter also has a word cloud feature. 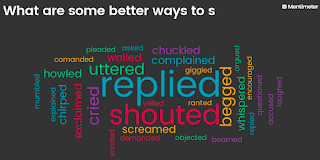 It became really frustrating when I would create a presentation in Nearpod, but would really want to have a word cloud. Word clouds are useful when you want learners to share and notice commonalities amongst student responses. This is ultimately what drove me to purchase Mentimeter. Sometimes we would have amazing lessons using Nearpod, but I wouldn't be able to capture those moments. If I didn't take a screenshot of the results right then and there, the responses would be lost. You can download a report, however it mostly displays participation rates. The reports are not something you could use as a display or share with your class for later reference. With Mentimeter, you can download each activity as a jpeg. You can also download the entire presentation as an Excel document or a PDF I have often created shared folders in Google with all the downloaded jpegs from our lesson. This has been helpful as this makes the learning rewindable. Students are able to revisit the learning and see their responses. Students can also enter the code at a later date, and submit results. 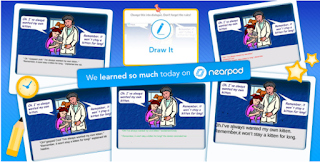 Draw it is an activity where students can annotate an image you upload. Students can highlight, draw and add text. I have found this to be very useful in both writing and math activities. I use it for punctuation activities, paragraph correction and filling in the blank activities. 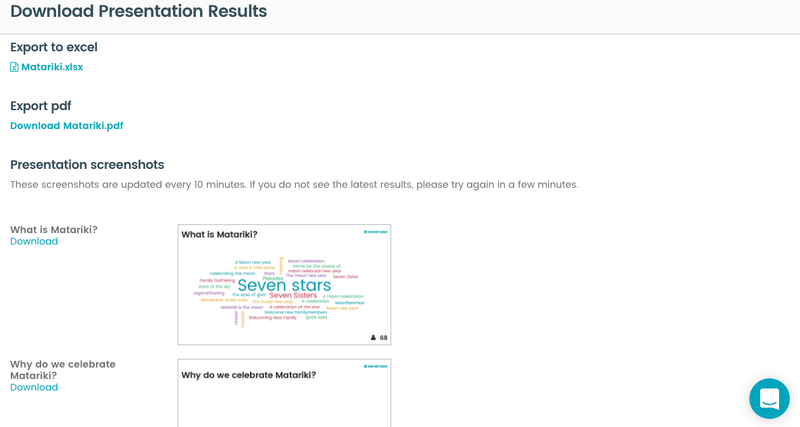 If you like platforms like Padlet and LinoIt, you will like the collaborate activity on Nearpod. Students can add text as well as images onto a platform that closely resembles Padlet. Students can also 'like' other peoples ideas, which they love. 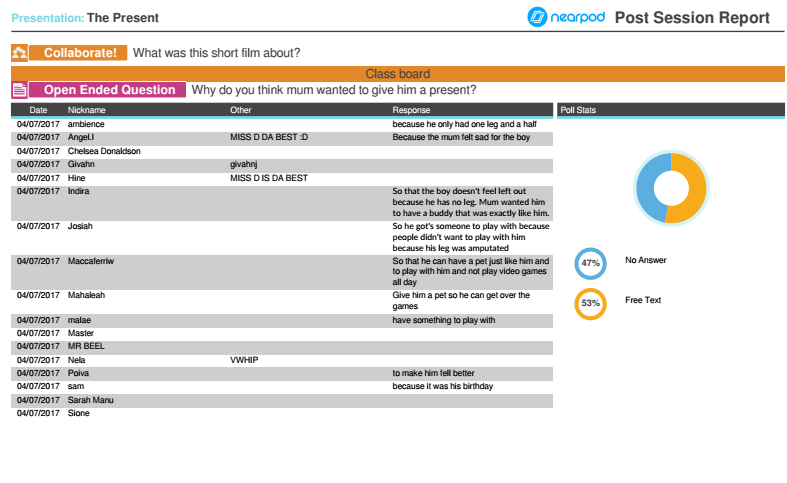 As you can see they are basically the same, although there is a slight preference for Nearpod. 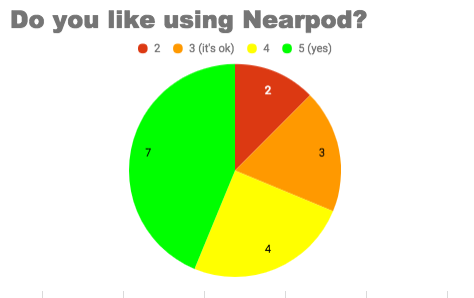 The graphs also show that majority of my class enjoys using these presentation tools, with only two students rating 1 and 2 for both Mentimeter and Nearpod. So, what is the best? It is pretty hard to choose between Nearpod and Mentimeter. While they are both presentation apps, they can be used for different purposes. 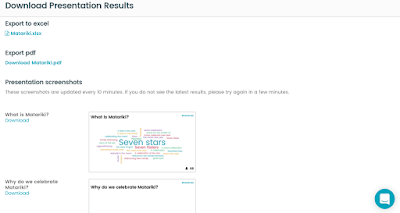 I think Nearpod should have better download options, as I would like to be able to print off and display some of the awesome work we do on Nearpod. For Mentimeter, I think they should include a function similar to the Draw it activity on Mentimeter. The only reason why I would choose Mentimeter over Nearpod is because of their options for downloading presentation results. Overall, I couldn't recommend these presentation tools more highly. They increase engagement and participation, compared to the traditional verbal Think-Pair-Share model. 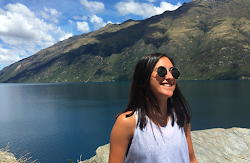 Both tools help students to feel comfortable and willing to share their ideas. I also think the quality of ideas is a lot better. This could be because they are talking more time to think and compose their responses. Using these tools take longer than TPS, but you get a lot more out of your learners.